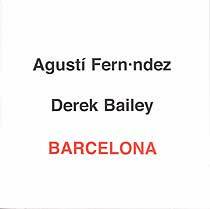 Agusti Fernandez, piano; Derek Bailey, guitar. Recorded on 13 November 2001 at Estudi 84, Barcelona. Design (front cover reproduced above) by Assif & Agusti.